Board Meetings are held the fourth Thursday of each month. If you would like to attend please call our office for time and date verification. We are accepting resumes for two positions. Click the position titles below to download the full announcement. Resumes, cover letters and references are due to the district by April 8, 2019. Our newsletter is posted to the left of this post. Click the "Download Here" font below Winter 2019. Agricultural Assessment Season is upon us. Please submit your Agricultural Assessments early. Many towns are requiring residents to renew their assessments. We currently have a longer than normal wait time to receive the soils worksheets back. Early this year we lost the software to update the website due to computer upgrades. Now we are back up and running... We will be sure to update the calendar and newsletters as soon as we can. The 2018 Tree and Shrub order form is posted on this website first. We will start accepting orders on January 1, 2018. We usually sell out of some items fast, so don't wait until the deadline. Pond stocking order forms are due August 25, 2017, while Grass Carp order forms are due September 1st. All Grass Carp order forms require us to get all three copies of your DEC Grass Carp Permit with your order. Thank you to all of the presenters and teachers/schools that participated in the 2017 Environmental Field Days. Despite the rain, everyone had a great time at this educational event. See everyone next year! CALLING ALL TEACHERS! If you are interested in participating in our Field Days on June 6, 2017, (rain date June 7th), contact us immediately. This event for 5th and 6th grade students, has classes rotate through Royalton Ravine park to learn about topics ranging from water quality, forestry, conservation law and outdoor hobbies. If you ordered trees from our 2017 Tree and Shrub Program please pick them up on Friday, April 21st or Saturday, April 22nd. If you have any questions feel free to contact us by phone at 716-434-4949 Ext. 4. Every year the district comes out with an annual tree sale. Be sure to download an order form from our website or get more information from our Tree and Shrub tab. If you own land that is being used for agriculture make sure to talk to your town assessor about getting an agricultural assessment completed. If qualified, that could mean saving money on your property taxes. Call our office today for more information. Our office completes the Soil Group Worksheets that your town assessor uses in the agricultural tax break. More details on our Programs page. Congratulations to the 2016 Regional Envirothon Winners! The Niagara County winning team included students from the Niagara Career and Technical Center, Conservation program in Sanborn, NY. If your school is interested in participating in the Envirothon in 2017, please contact Darcy at (716) 434-4949. Be on the lookout for Japanese Knotweed! Niagara County Soil and Water Conservation District is looking to apply for funding to control and eradicate a highly invasive plant within the Eighteenmile Creek Watershed. Japanese knotweed resembles bamboo, and can reach 10-15 feet tall. It is adapted to a wide variety of soil types and pH levels, and can be found growing along riverbanks, wetlands, disturbed areas, roadsides, woodlands and grasslands. If you suspect you have Japanese knotweed on your property, please call our office at 716-434-4949 Ext. 4. 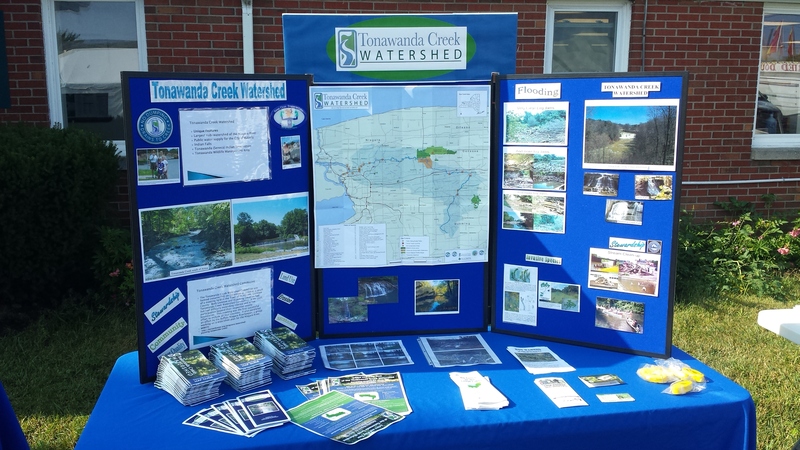 Since being listed under the National Priorities List (NPL) in March of 2012 progress has been slowly picking up speed, and 2014 has been a year of advancement towards the cleanup of Eighteenmile Creek. 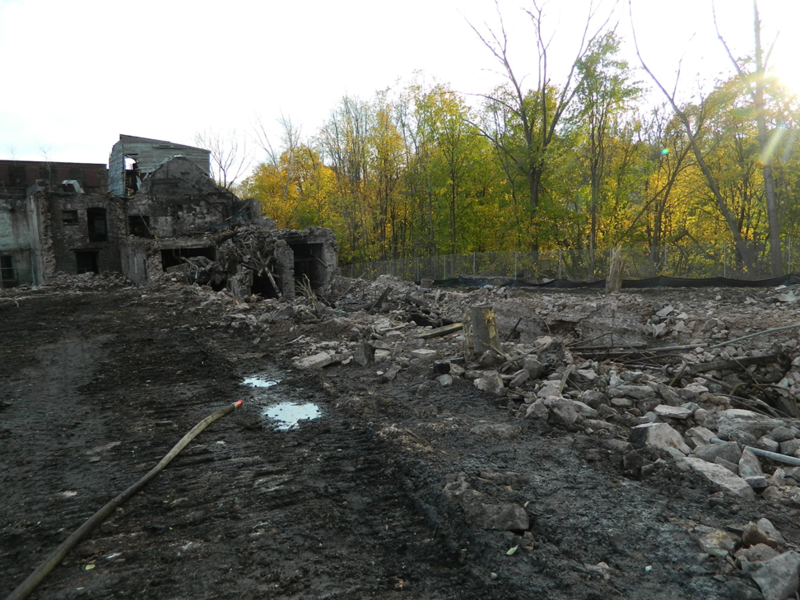 This past summer, EPA contractors completed the demolition of the old Liberty Building on 89 Mill Street. With the equipment and contractors already in place, EPA began the demolition of the former Flintkote building. The Flintkote building and its surrounding property are likely the source of the major contamination to Eighteenmile Creek. Demolition will continue and be finished in the spring, where the next steps will be to sample the soil beneath the basement of the once inaccessible building. Actual cleanup and remediation of the contaminated soils on the site will follow when all different options are thoroughly investigated. The changing of the seasons has also brought progress to another part of Eighteenmile Creek, Olcott Harbor in the Town of Newfane. 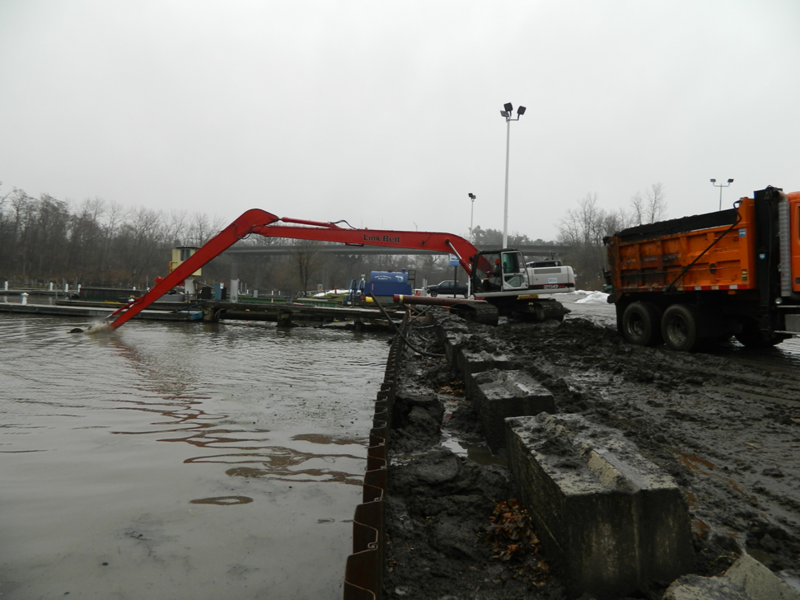 The town has embarked on a harbor dredging project to increase the navigability of the western part of the harbor, near West Main Street. The town was hoping to �piggyback� on to the U.S. Army Corps of Engineers (USACE) dredging project between the navigational channels, but this scope of work was too small for the contractor selected. Without using the USACE contractor, the Town of Newfane has hired Wendel Companies to assist them with their project. In preparation for the dredging, the town has dug a large pit near East Lake Road and West Washington Street. The dredged soil will be placed in this pit, allowing the water to slowly drain over winter before being covered back up with clean fill from the site. 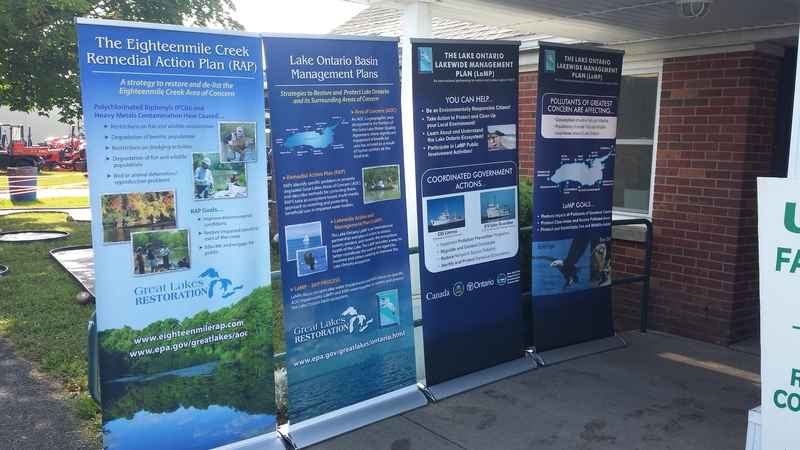 The International Joint Commission announced this week Plan 2014 is its preferred option for regulating water levels and slows of lake Ontario and the St. Lawrence River. And local leaders don't like it. The plan controls the water level in Lake Ontario by adjusting the flow of water through a dam in the St. Lawrence River, creating higher and lower water levels than before. Mike Clifford- Mike joined the staff as our Natural Resource Technician this past September. 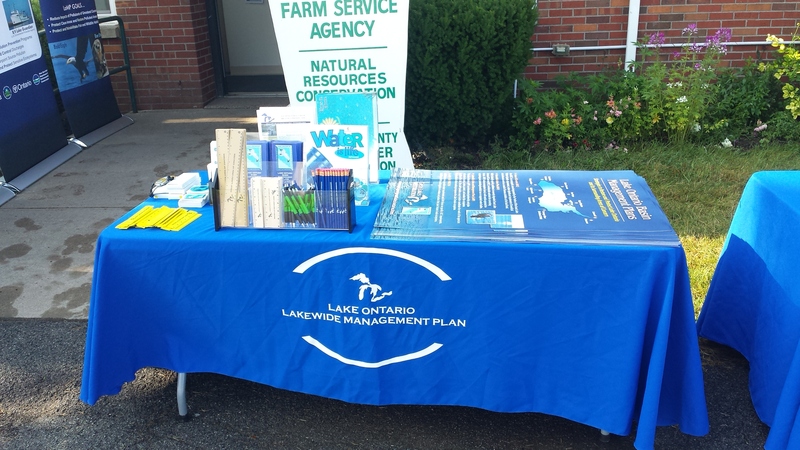 Mike was the USDA-NRCS District Conservationist in Walton, NY. He recently relocated to WNY where he continued to work part time on conservation efforts as a subcontractor to the NRCS and an Earth Team Volunteer. Mike brings years of knowledge and experience to the office and he will be busy using his talents on AEM, barnyard projects, wildlife habitat, and soil health. 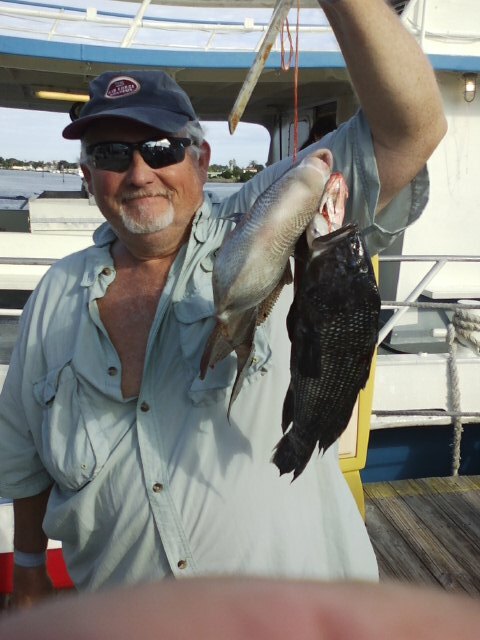 He enjoys hunting, fishing, and other outdoor sports. Environmental groups petitioned the EPA in August to prohibit �the manufacture, processing, and distribution� of lead in bullets and fishing gear. In response to the American Bird Conservancy, EPA Assistant Administrator, Stephen Owens, cited steps already undertaken to curb lead use: limits on federal land, state regulation, education efforts and the increasing availability of non-lead alternatives. More than three years after Congress directed the U.S. Army Corps of Engineers to explore ways to separate the Great Lakes and Mississippi River basins in order to "prevent the spread" of nuisance species like Asian carp between the two grand water systems, the Army Corps is now embarking on what it says likely will be a four year study.